In the United States, the 2 Series is sold as a coupe or convertible with rear-wheel drive (or optional all-wheel drive). The Gran Coupe will be the first model based on a front-wheel drive platform to wear the 2 Series badge in the U.S. BMW does sell the front-wheel drive 2 Series Active Tourer (a tall-roofed hatchback) in other markets. Why is that important? As BMWs have become bigger and more complex, the 2 Series coupe and convertible have been hailed as a refreshing throwback. They boast agility, simplicity, and the sharp handling only rear-wheel drive can provide. The four-door Gran Coupe will take things in a different direction. While BMW does sell some SUVs based on front-wheel drive platforms in the U.S., the Gran Coupe will be the first conventional BMW car with front-wheel drive sold here. BMW uses the Gran Coupe name for so-called “four-door coupes,” which are basically sedans with sleeker bodywork. So just as the BMW 4 Series Gran Coupe is a more attractive-looking version of the BMW 3 Series sedan, the 2 Series Gran Coupe will be the more stylish counterpart to the upcoming 1 Series (which BMW hasn’t confirmed for the U.S. yet). The 2 Series Gran Coupe will compete against the Mercedes-Benz CLA, a small four-door coupe based on the automaker’s A-Class sedan. Mercedes hasn’t been afraid to offer AMG performance versions of these entry-level models in the past, so we’re curious to see if BMW follows suit with an M2 Gran Coupe. Other details on the 2 Series Gran Coupe will be revealed closer to the car’s November debut. 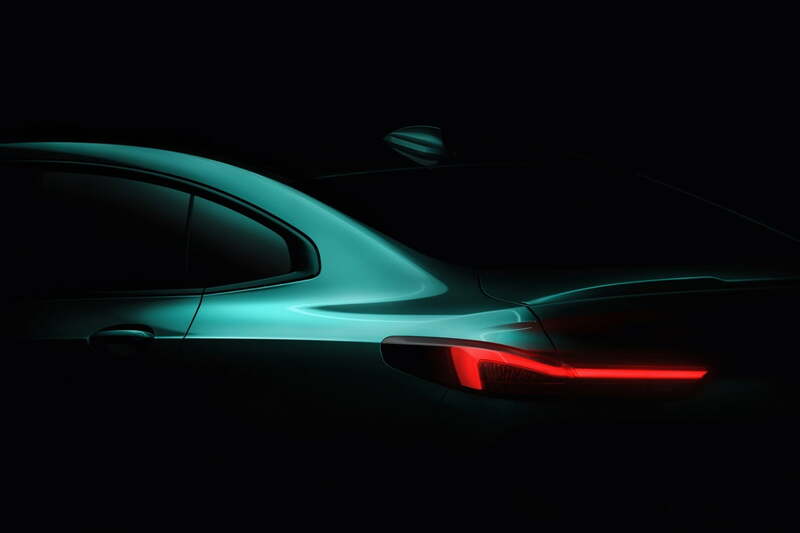 Expect more teases over the coming months as BMW works to keep people from forgetting about the Gran Coupe as other news pops up.